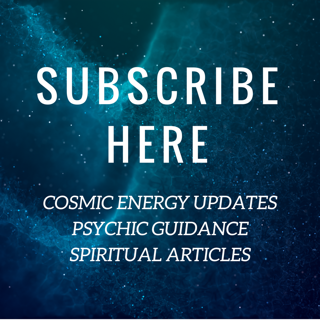 "Guided by Spirit: My Psychic Story"
I have 'felt different' and have had an interest in spiritual & metaphysical topics ever since I remember. Throughout my life, I have always been very perceptive and naturally intuitive - picking up on other people’s energy and moods, often to my own detriment. Now I know that this is because I am a 'sensitive' or ‘empath’, who absorbs other's energies and also that of world events and the greater cosmos. As a young intuitive sensitive teenager, I once heard the term 'psychic sponge' mentioned by a psychic on the radio. She explained that it described those sensitive people who pick up and take on the emotions and thoughts of others, and soak it all up like a sponge. It immediately struck a chord. Even though I didn't entirely understand it at the time, that is exactly how I felt. But it was to be years after that it would all make sense, and when I would slowly learn how to control and manage this intuitive gift as well as use it to help guide, teach and uplift others. I always used to feel that when I looked into people's eyes, it was like I could see their soul and understand them at a very deep and private level, like brushing past all the walls, fears and facades and looking into their inner innocence and truth – their pure essence, or core within, and what they might otherwise be hiding to the external world, including fears, thought patterns and even sometimes secrets. This made it hard communicating with people or concentrating on their mainstream words & topic choices, because I was sensing them on another level. At the very young age of 8 years old, I was blessed by the visitation of an angel one night in my bedroom. It appeared before me in order to provide comfort and calm as I was very concerned about my father who was driving a drunk relative home after a party. The angel was radiant and glowing, and surrounded by irridescent shimmering light! The angel looked and felt magical, feminine and radiant, with beautiful rainbow hues of colour surrounding her. It instantly made me feel calm, safe, secure and blissful. Shortly after this angelic apparition, my father returned home safe and sound, and I knew that was why the angel appeared. But also, many years later I realized that it was also a seed being planted for me in that as I awakened to my gifts and the hidden truths of the world, and later experienced the angels in my life in many other non-tangible ways; there could never possibly be a doubt in my human mind about the powerful force of the universe and the spiritual world in and around us. ​For a more detailed version of the story of my angel experience, see Doreen Virtue's book "Saved by an Angel", published by Hay House in June 2011 (Chapter 6, pg. 83), or you can find a direct link to the pages of the book online on my 'Published Work' Page. I also have two more angel experiences published in Doreen Virtue's books (see further below). As a child, there was a time when my family lived in a well-established house whose former occupant had lost his wife. At that bungalow, I often 'felt' that there was some kind of ‘presence’, and I hated to be there alone. There were a number of occasions when I heard a spirit whispering my name. It was a loud, definite whisper in my ear and a strong feeling of a 'presence'. It was very frightening and so I often felt paranoid and scared, and was always looking around me to see if someone was there, afraid of what I might see or experience. I would often 'see things' in the mirror, and when I turned around nothing was there. One day after school I was so adamant there was 'someone' or ‘something’ in the house that me and my friend hid in a hut we had made and I called my mum to come home from work, while holding a knife as a weapon. I was terrified. When I was a little older, I awoke one night to three men leaning over my bed. I know that I was completely awake and it wasn't a dream. They were all dressed in 19th century clothing and were even wearing top hats! They were staring at me all at once blankly, yet in an intense, purposeful manner. I got such a fright, that I jolted up and out of my bed, realizing that I had jumped and walked right through them! When I told my mum, of course they had dissipated into thin air and she couldn't see anything. The house where I lived at that time was next to a very old, withering mansion that always had a spooky feel whenever I walked past it. I later found out that it was historically the first established house in the area. The old fashioned garb that the men wore perfectly matched the time period. There was a time where I would clairaudiently hear bells ringing (in my inner ear), especially in the morning. I quickly realized that the angels were whispering these celestial musical sounds in my ear. It was a kind of heavenly call for me to intuitively take notice and then leap out of bed. I would often feel guided to do something such as read a page of a book or immediately switch on the television and there would be the perfect words or show on at that time to tell me just what I needed to hear at that particular time. It was quite amazing, and I credit my angels for being there for me in this mystical way. The night my paternal grandmother died, she appeared to me in a vivid dream, completely bathed and surrounded by pure, clear, white light. It literally looked like ‘Heaven’ as one would imagine it. In the dream, my grandmother symbolically sat on a rocking chair looking down at me smiling, giving me oceans of ‘advice' about 'life' in a wise, soothing voice. Upon waking, I found out that my grandmother had officially passed away at the same time that I had the dream. I knew with all my might it was a visitation in spirit! ​I also believe that as my grandmother had alzheimers for years before passing, her soul had already been preparing for this transition and coming and spiritually going between worlds for some time. ​As a young adult there was a time in my life where I felt inexplicably drawn to help troubled youths / teens that came across my path. I went through a period when I spontaneously felt the compelling impulse to help stray youths and runaways who were going through personal trauma - yet it would happen by seemingly random yet synchronized events. Just by walking past an individual, I would feel their energy, deep hurt and need, and have a knowing & fearless compulsion to stop, help them and guide them back on track. It all started one day when I was walking at night to my local corner store and all of a sudden felt an intense wave-like sensation like a 'magnetized pull' as I passed a teenager sitting on an outdoor bench. As I looked at him, I noticed that he had his head down, hiding himself in a hooded jacket. He was holding a paper bag of solvents that he had obviously been inhaling. From that time forth, I vowed to become a kind of mentor and friend to this youth, and took him out on excursions such as to the movies. I was overjoyed in gratitude to one day receive a beautiful bunch of flowers from the boy’s father to show their appreciation that ‘someone cared’. And that meant the world to me. Not long after that I was on a lunch break at work and again felt a ‘magnetic pull’. I guess you could say it is like a wave of energy that overcomes you. I stopped to see a young girl sitting by herself in an extremely secluded part of an old city wharf and immediately knew to talk to her, but also to be a bit cautious. As it turned out this girl was deliberately holding a piece of sharp broken glass. Upon talking with her for quite some time, I found out that she had not only run away from home, but had come on a bus from another city miles and miles away. I then proceeded to cautiously talk with her and watch over her, and the girl agreed to have the police called so she could be safely escorted back home. As I grew older, I continued to have other experiences of this feeling of a 'magnetic pull' towards a person or place. It was like a wave of energy that would stop me in my tracks and pull me to look in a certain direction. In that short moment of time it was like the whole world stood still and froze, and I was transported into another time space reality, or a moment of a heightened sense of perception. Once, while walking along a street in Adelaide, I felt a magnetizing sensation to look towards my right. I was overcome by a feeling of just ‘knowing’ that there would be something for me to pick up off the side of the street. Surely enough, I looked down at the ground and immediately saw something. As usual with any ultra intuitive moments like this, it was like the object glowed or stood out somehow. I leaned down and picked up what was a packet of incense, all intact and aromatic, with the word LOVE written on it. I knew what it meant – love for the universe, life and people. It had significant meaning for me at the time, and was also an early message or indication that I was on a spiritual path. In my early 20's I had another angelic encounter, however this one was of a completely different kind! The angels saved my life. One night I was walking to a bus stop near my University. It was very dark and ominous and quite spooky, with a cemetery across the street. Suddenly, out of the blue, a supernatural voice told me very quickly and clearly that a car was about to pull up behind me, and that a man would try to force me to go inside his car. Just seconds after this angelic warning, what the voice told me is exactly what happened. A car literally pulled up from behind, and stopped right in front of me. Then, a man inside with an awful dark energy about him, verbally and forcefully tried to coerce and motion me into his car. After a while of him desperately and frantically trying to persuade me to get me into his car, all of a sudden something switched in him, and he miraculously took off in a hurried frenzy. It was as if something had prompted him, which was funny because the streets were dead quiet - there was not a living soul about. I knew that the angels and my guides had intervened and were protecting me from a very serious and dangerous situation. And if it wasn't for this miraculous intervention, I am pretty sure I would either not be alive today, or would have endured an extremely horrific ordeal. For a more detailed version of this story, see Doreen Virtue's book "Saved by an Angel", published by Hay House , 2011 (Chapter 11, pg. 170), or you can access a direct link to the pages of the book via my 'Published Works' Page. After finishing University, I embarked on a journey of self-discovery while travelling abroad and working in Japan as an English Teacher (1999-2000). I found myself 'opening up' and would often receive random and highly accurate psychic information about people which presented as a voice in my head and a profound sense of knowing. One of my most memorable psychic experiences was when I received a very clear premonition about an earthquake in Tokyo right before it happened. "There is going to be an earthquake." I had never experienced an earthquake before in my life - and within seconds everything started shaking and rumbling - there was indeed an earthquake. Because of my premonition / spiritual intervention, I felt completely calm and okay, not to mention amazed and surprised by the whole experience; content and secure that I had an angel, a Guardian Angel or protective Spirit Guide, watching over me! I know that without the telepathic communication I had received as an immediate precursor to the incident, I would have been really frightened during the incident and at dis-ease about living in Tokyo. In fact, I took it as a sign and organized a transfer to Kyoto after that, which I know was the Divine working in perfect harmony, as I had an amazing time there exploring its sacred beauty and ancient mystic allure, and I felt much more at home there than in the over-stimulating neon-frenzied capital. When I moved to Kyoto, a very sacred town with much ancient history, other things started to happen to me. It was as if the area was activating something very sacred and profound spiritual connection was re-surging in me. I felt very attuned to the land and temples and could sense a kind of sacred presence or energy, as well in areas where people prayed. Living on a hill near two cemeteries, I had many synchronistic and paranormal experiences. I experienced spirit activity, especially in an old house in Kyoto where I was staying. It was a very, traditional old adobe that had been converted into an international guesthouse. I was amongst the very first 'geijin' (foreign visitors) to have stayed there. It was literally surrounded by cemeteries, with one right next to it as well as behind it, further up a very steep hill. In 2001 I had returned to Auckland (NZ). I literally woke up one morning, and a voice told me to go to Melbourne. I immediately decided to go, even though I barely knew anyone there, apart from some Aussi friends I had made while in Japan. It didn't make any logical sense for me to otherwise go there, but I knew with my heart & intuitive mind with a kind of unquestionable certainty that I was going, and that was that. I also got the 'feeling' that I would also meet my soulmate. Initially when I moved to Melbourne I was looking to work for a charitable organization as I wanted to make a life change of helping people in need. Spirit as it has it, had other plans, or at least sent me on a different route to awaken my life purpose more fully. One day as I was walking through the city I again felt another one of those clear magnetic pulls when I walked past a building. I looked up and saw that it was an English Language School. I smiled to myself at how crafty the mysterious universe can be in the way that it works behind the scenes. Although I was not looking for teaching jobs, I followed my heightened senses and intuitive guidance and just randomly walked on in. Funnily (or rather Divinely orchestrated), I just happened to have a resume in my bag. When I asked to speak to someone about the possibility of a vacancy, I got an appointment with the Head of English for the very next morning - and as it happened they were looking for a teacher. The very next day I got the job on the spot. It was also very good pay. Since then teaching has been a very important part of my life purpose. Within three months of moving to this big city, through synchronistic events that took me all the way across the seas, I met my pre-ordained soulmate, got married and quickly started a family. A major part of this 'synchronicity' was that the man I had met happened to be the friend of my flatmate's boyfriend. And my flatmate was one of my Aussi friends I had met in Japan. So the seed of synchronicity had already been planted while in Japan, without me even knowing. One day I called my now fiance from work, completely upset and emotional. I pleaded with him to be careful, as I clairvoyantly saw 'smoke' billowing at his workplace. This very promptly turned out to be a true premonition as within moments of warning him, he called back to tell me that smoke was indeed coming into the lab where he worked through the vents. He was okay. During those first few years in Melbourne, I continued to have random psychic experiences such as sensing that certain women were pregnant (including strangers) and accurately 'knowing' the gender of the baby. But there was something about falling pregnant myself that ignited a 'switch'. One night I received an amazing vision (while completely awake) that the angels were giving me a baby. I literally saw a plethora of gorgeous, excited angels handing me a baby as if 'giving ' it to me, and they were so tenderly introducing the child's spirit (energy) to me. The baby was surrounded in a beautiful, vivid, bright yellow light. For that whole night I had dream upon dream that the angels were 'giving' me a baby. The next morning I woke up very early and ran to the bathroom to do a pregnancy test. I saw the test turn positive before my eyes. I was pregnant! To further add to this vision where I saw yellow in the background, when my daughter was 2 years old and quite intuitive, she kept talking about how she could see the 'yellow' man and a 'yellow' house, pointing up to heaven. I cant help but wonder if there is indeed a connection here. In 2009 I took got certified by Doreen Virtue as an Angel Intuitive™ and my whole life completely transformed. At the training event, I was surrounded by over 700 other amazing 'lightworkers' coming together to learn more about the angels, archangels, developing ones psychic and mediumistic abilities, giving card readings and so much more. I was in a complete state of mystical enlightenment that I literally almost fainted on my first day due to the sheer energy of all these amazing people coming together. I had so many spiritual and psychic experiences at this course and felt the angels and archangels presence so strongly, that I was completely blown away. This set me on an amazing new journey, and I have evolved so much since then. At the time I didn't realize just how profound and far-reaching the effects of this get-together would be. It was followed by so many awakenings and so much rapid spiritual & psychic development, that I knew I was always 'meant' to be there. 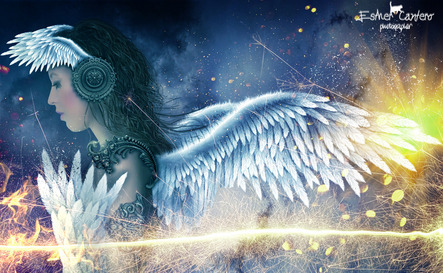 It allowed me to draw in my ever strong connection to the angels, understand and further explore my spiritual gifts, as well as validate my role in the world. It really cemented for me a feeling of 'belonging' that had always otherwise been lacking, and it was something I had profoundly been searching for, for all those years. Now I am so much more aware that I need to be grounded and protect my energy constantly. As being a highly sensitive intuitive empath can be completely draining and take a toll on one’s emotional, mental and energetic health, as well as the physical body, I have suffered much unwellness along this journey. At times it has ben debilitating. 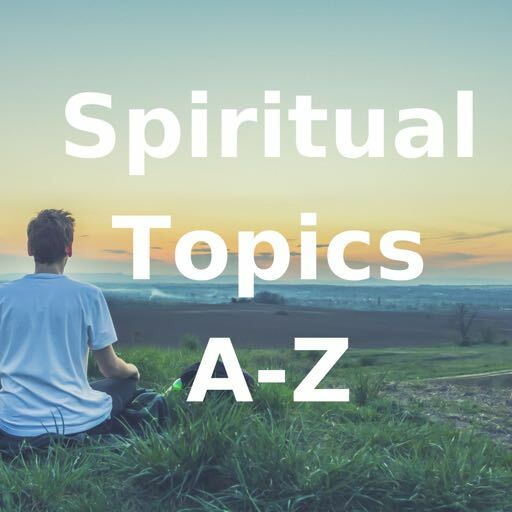 I now incorporate spiritual practice and mindfulness into my daily life, and am currently preparing to teach others spiritual, self & psychic development through online courses. After the Angel Intuitive experience, I came out of my ‘spiritual closet’ in many ways. I felt somehow more free to be and show more of my true inner and outer spiritual self. I let go of any remnant fears of how I may be perceived and received and began to walk with a more conscious, aware, awakened step. Immediately following my certification, I took the plunge and followed guidance towards my Divine calling and new life path that seemed to be opening up. 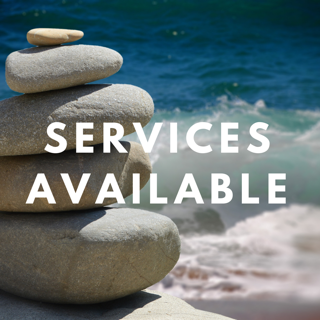 With much dedication and effort, I started my own spiritual business by creating my website and opening up reading services to the public. I also affirmed that I wanted to further my interests in writing and work towards authoring books, classes and courses, and this is the path I am currently on. For a large part, this powerful transformation I was going through allowed me to speak more freely and without constraint(although always with respect and discernment),and I was finally able to have a pure 'platform' in which to express who I truly am on a soul level. As the years went by, my intuition and Divine connection was rapidly growing. I started to receive higher levels of psychic impressions, open up my mediumship, and work with the angels and other beings of light in amazing ways. A higher understanding and awareness about universal truths, spiritual / metaphysical topics and reading of cosmic energy also started to blossom. I was tapping into world energy and on occasion receiving predictive information about negative world events such as bombs, terrorist activity and even a missing plane. ​I also started to randomly receive the odd piece of psychic information about public criminal cases such as murders and missing people. I began to realize that some people are naturally drawn to or are curious about those of us who are authentic, naturally compassionate, heart-centered and high vibrational, even if it is on a sub-conscious level. It is like people can ‘sense’ and thus gravitate towards a spiritual worker or person who walks the path of light, as they tend to radiate an inner glowing of light and energy. On a higher level, this energy is healing and uplifting to other souls around them. ​At the same time, however, there were flipsides to all these gifts and experiences. I would often find that I would 'shrink' myself, dim my otherwise growing, glowing light and withdraw my energy whenever I felt it was all too much (and that was often). I was affected by all sorts of external energy that seemed at times to come from all directions. Sometimes world events, cosmic energy, other people and social environments were just too harsh for my heightened sensitivities to bare, and that even included walking through malls which I found to be like navigating through thick energetic smog. I was seeking internal order amongst external chaos, inner peace amongst the outer wild. I have even had random moments where I suddenly felt overwhelmed, started crying or even had panic attacks when energy caught me unawares, while at a crowded mall. Another flipside to being a conscious light-bearer, is that angry people who carry pent up toxic energy like to spew their energy, have random tiffs or uproars and even try to manipulate sensitive people such as myself. This means you are an easy target for 'energy vampires' - people trying to siphon and thieve your energy, or those who use and even manipulate you. Some energy drainers do this without even realizing. The effects of this can be anything from mild agitation to extreme irritation, depression, fatigue, paranoia, body aches & pains and a host of other emotional, mental, physical and spiritual symptoms. Even earthbound spirits (ghosts stuck on the earthly realm) can be drawn to people who are in the light. Just like moths zap towards a shining bulb, 'ghosts' can look for 'hosts' in unsuspecting people. 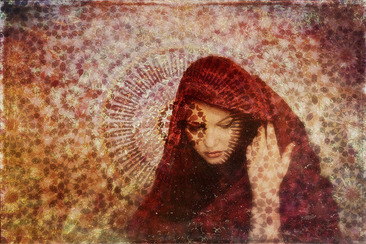 The dark side and people with ill intent also like to play havoc with lightworkers. Thank God I have learned my many lessons (the hard way) and with greater awareness and wisdom, I am now very protected, self empowered and knowledgeable in the psychic arts. I have a deeper understanding of outside forces and 'non ordinary reality,' and can use my knowledge and abilities to help others. This is why I am designing courses to help educate and support people, as well as provide variety of spiritual services such as my work as an energy healer, clearing people's energy, removing anything negative & toxic that may be influencing them, and acting as a conduit, allowing the angels and other higher beings of light to do their spiritual work. ​I also perform house clearings which is like angelic ghost busting or being a 'negative energy removalist'. I always have my angels around me, and approach each person and situation with faith, protection, connection and positive intention. Once I established a firmer and highly conscious connection to the angels, I experienced many signs and synchronicities and began to see 'angel numbers' everywhere. As numbers hold vibrational frequency, each number has a meaning & resonance. 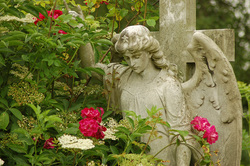 ​I have also had a number of dreams about angels over the years, as well as Archangel Michael. One night, I experienced a vivid angel visitation in my dream. This angel had a human-like female face and blondish hair. It was wearing white, and appeared as a magnificent mass of such indescribably vivid white/yellow light. She shone so brightly, and the light was not the kind found on earth, but rather it was vibrant and so bright that it was almost blinding to the human eye. Having angelic type dreams is always uplifting, comforting and reassuring. A dream I will never forget, is one I had about my spirit guides who were offering their help literally by holding out their hands, and encouraging me to take steps ahead, even though there was a steep dangerous cliff, which was a reference to the extremely difficult time I was having. I have also had a guide appear to me in my dreamtime and hold a torch, showing that they will always guide my way and that there always is a way; and I dreamed about my daughter's guides on the other side. ​Since then I have also had several spirit dreams of my late parents in law. The dreams were so incredibly spiritual in nature. After training as an Angel Intuitive, my mediumship abilities also started to open up. Teaching for me is a calling and a great part of my life purpose. I feel it is a great way to reach out to kids (and adults) and nurture their innate intuition as well as encourage them to believe in themselves and their sometimes glowing, sometimes dormant gifts and abilities. In my teaching work, I seem to be able to sense children who are crystal, rainbow or indigo (these are the new children coming into the world who are very sensitive, intuitive and more in touch with the spiritual realms. They have been coming onto earth to bring about change and help raise the vibration). There have been times when students would appear in my dreams and announce that they were indigo, or I would see the indigo light around them. This prompted me to be able to talk to them at school about spiritual matter and offer guidance and encouragement. I would often receive intuitive information about what to talk to the children about specifically, and have a natural sense of ‘knowing’ that they had psychic abilities or could see auras and feel the energies of crystals, so I started to bring crystals to class, and intuitively seemed to know if a crystal was drawn to work with a particular child. ​This was proven time and time again when the child intuitively chose the crystal that I had already known was meant to be the one that they would be attracted to. Some children mentioned that they chose that particular crystal because it seemed to 'shine' to them. They were sensing the energy of the crystal with their heightened awareness and their eyes would light up revealing their pure essence - and that is such a beautiful thing to experience. It was so uplifting and rewarding for me to see the fascination and awe in these innocent children's eyes as they marveled in the crystals and it seemed to help them explore and open up their extremely needy inner world of imagination and natural perception! So, I would keep bringing crystals to class and letting the children hold and sit with them. My son often saw and spoke about angels when he was younger. Once he told me there was a 'naughty man' in the room. As a three year old with limited vocabulary he referred to him as a 'clown.' Even though I couldn't see anything, I knew it was a spirit of some kind and as a supportive, intuitive mum I could sense my son's real, genuine fear. I trusted that what he was seeing and experiencing was real. "Who are all those people? The people are taking the naughty man away." ​After having an experience like that, it is like proof that both ghosts and angels are real, and that you can call upon higher beings to assist you. Moments like that help me never doubt the presence of angels and the work that I do. ​When my daughter was 2 years old, she talked about a past life with her 'other mother' and 'other house'. She gave details about what that mother looked like and spoke with such conviction as well as some honest confusion, as she was a smart girl ahead of her time and had a very inquisitive nature. She knew that I was her mother (in this life time), so how come she had another one too, and what happened to her? 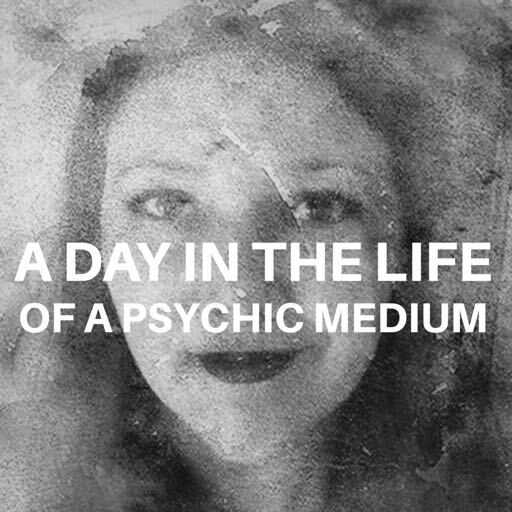 Read little stories about 'A Day in the Life of a Psychic Medium' here.